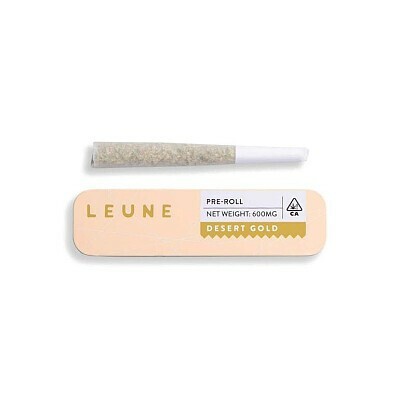 LEUNE- Desert Gold PreRolls, Order Weed Online From East Of Eden Cannabis Co. Individually Rolled With Love And Nothing But Clean, Honestly Grown California Flower. Tropical Flavors Meet Luscious Notes Of Peachy In This Preroll From L E U N E. Ease Your Tension With This Hybrid That’s Sure To Bring You A Body High That Transcends You Right To The Beach. Contains A Single Preroll With .6g Of Flower.